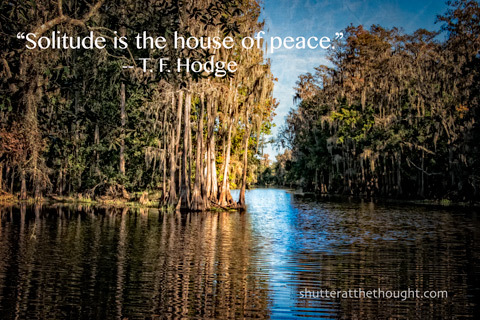 Central Florida | I Shutter at the Thought! Just a few miles from my home is Wat Florida Dhammaram — a Buddhist monastic compound replete with statues and altars and flowers and clouds of sinus-triggering incense. There are several monks who live and work on the premises, too. It’s a very interesting place to visit and photograph, and I found myself there the other night after dinner with friends who were unaware of its existence. I didn’t have my camera at the time, but decided to go back yesterday morning to capture a few shots. 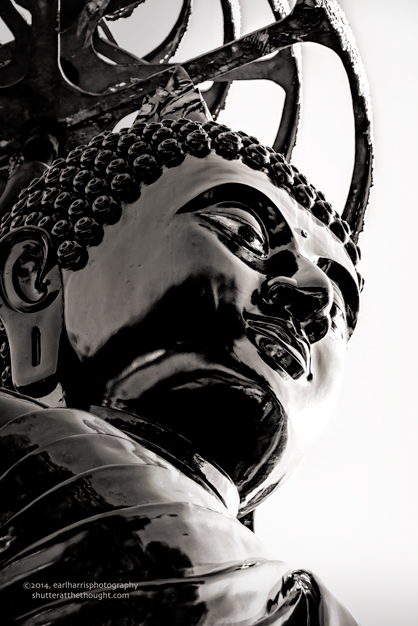 I will share a few of those images this week, beginning with this one, which is a view of the 22-foot tall Buddhalila (Walking Buddha) statue on the southeast end of the property. Many of the photos on my blog are now offered on Etsy. Psychics and those who attempt to divine the future using cards and palms are in no short supply here in Central Florida and I confess there are a few questions I have always wanted to ask. Consider, for instance, why one needs a security alarm system installed at their business location; can’t they do their own monitoring? I also have to assume that the lone vehicle one typically sees on the premises at these establishments belongs to its inspired spokesperson; but shouldn’t they know in advance when to come in and when they can just stay home? 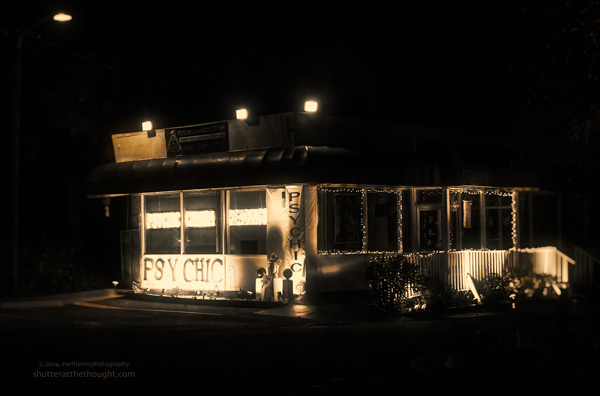 Finally, I have noticed that many psychics predictably go out of business rather quickly. Shouldn’t they have predicted that? You can download today’s image as a free hi-res desktop wallpaper by reverse-clicking over the image and choosing Save Image as… (The desktop version is sized 2560 x 1709 when downloaded.) I hope you enjoy it. Here’s a small version for whatever. Booking family, personal, business and pet portrait sittings throughout Central Florida. Please vote for this blog in the Cool Photo Blog Awards – just click here. 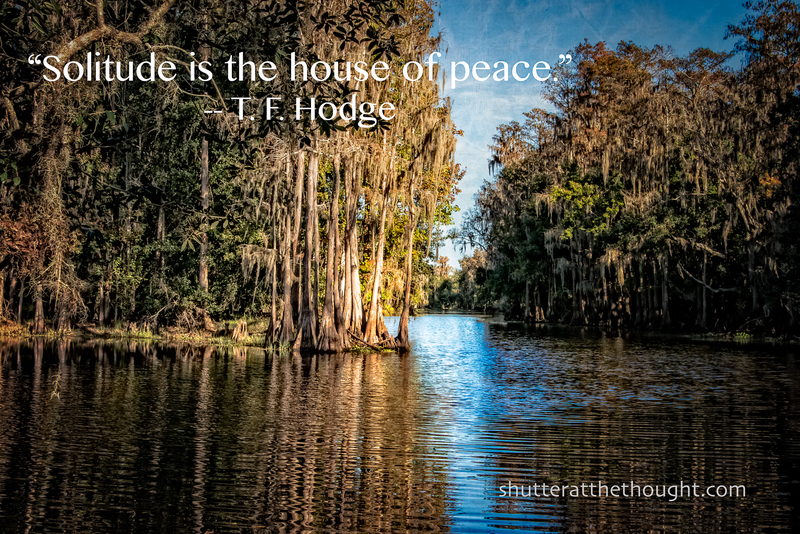 Thank you for supporting and sharing “I Shutter at the Thought!“. I shot this photo yesterday at the annual Pine Castle Pioneer Days festival. Yes, there used to be an actual pine castle here: it was the private residence of Kentucky transplant Will Harney during the years immediately following the Civil War. The Pioneer Days festival celebrates the rich history of this small Central Florida community. Click on the photo for an enlarged view. If you like today’s post, please share it; there are convenient sharing buttons below. Vote for this blog in the Cool Photo Blog Awards – just click here — there’s nothing else to it! Thank you. Thanks for taking a few minutes out of your busy day to visit. Please come back again. Drive just a few miles outside of Kissimmee and the sea of hotels, gift shops, questionable restaurants and theme park-related tourist traps disappear. These obstructions give way to Central Florida’s natural beauty, cypress swamps and pastures. This is by far the Florida I prefer. It is the Florida that surrounded me growing up, before “Disneyfication” completely turned the place upside down. In childhood, I often walked through the pastures and cypress swamps near our home with my friends. Those adventures revealed so many little marvels of nature; marvels that seemed to me then and still do now to be revelations of Divine planning and intent. It saddens me that my favorite childhood swamp is now a parking lot and apartment building. I suppose they live on, in a sense, having given life to the fascination I have today with observing and photographing the order from which our chaos is derived. From a technical standpoint, today’s photo is about composition and using lines to draw and direct the viewer’s eye. I hope you like it. If you like today’s post, please share it; there are convenient Share buttons below. Thanks for taking a few minutes out of your busy day to visit. Please come again. Today, regardless of your faith or creed, I wish you much love, joy and laughter. May your hearts be full and your hands be ever eager and able to give to one in need. Please enter a vote for this blog in the “2013 Cool Photo Blog Awards” by simply clicking here . Thanks for visiting, “I Shutter at the Thought!”. Please stop by again. To purchase a print, click here. Time is running out to vote for this blog in the 2013 Cool Photo Blog Awards. Please click here to enter your vote. Having a bit of fun going overboard with the various editing tools in OnOne Software’s new Perfect Photo Suite 8, again… Usually after a few days, I’ll get this sort of thing out of my system. Before it’s too late, please vote for “I Shutter at the Thought!” in the 2013 Cool Photo Blog Awards – just a single click right here and it’s done. Of course, I’m on Facebook, too. Christmas is just 2 weeks away, and I’ve felt guilty because I haven’t started and don’t want to start shopping. Although I’m getting nowhere fast on that front, I did finally get some paperwork taken care of that had stacked up on my desk. I hung the “Bah humbug!” sign my dear sister gave me on the front door, simultaneously beginning and completing my holiday decorating chores. I fertilized the orchids this morning; their appearance reminded me yesterday that I’ve neglected to do it since James passed away in September. I started feeding his beloved “Forest Kitties” – a feral cat colony residing a mile or so from the house that he ensured had clean food and water daily over those too-few months the cancer was in remission; and portrait bookings have picked up, at least for the time being. And I’m trying to get out more to take pictures for fun – for myself; something I had neglected in lieu of the need to regroup and reorganize in solitude, prayer and contemplation. That need is still very much present, but I’m attempting to interject a bit of balance from external influences, at times with great difficulty. I need more balance to get through Christmas and New Year’s. I need it to get through today. Please vote for this blog in the 2013 Cool Photo Blog Awards – just click here and you’ve voted. Thanks for your support! The biggest cliche in photography is sunrise and sunset. I would appreciate a vote from you in the 2013 Cool Photo Blog Awards. Just click here and you’re done. Thanks for your support!